Plus: E.U. hits Google with third big fine; What a Biden rollout could look like. 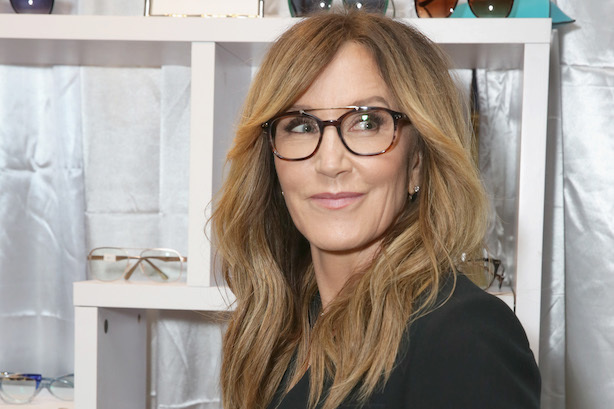 Felicity Huffman has reportedly hired crisis communications support amid fallout from Operation Varsity Blues. The actress has brought on The TASC Group, with a team led by founder Larry Kopp and specialist Alastair Pearson, to handle press related to the college admissions scandal, according to The Blast. New this morning: E.U. regulators have hit Google with a $1.7 billion fine for stifling competition in the online advertising market. The E.U.’s competition commissioner said the company has stopped competitors from being able to "compete and innovate fairly" in the space, according to CNBC. It’s Google’s third hefty E.U. anti-competition fine. The Federal Aviation Administration is also under the microscope in the Boeing crisis. The Transportation Department’s internal watchdog is examining FAA approvals of the Boeing 737 Max 8, which was grounded last week after it was involved in two crashes overseas. Meanwhile, aviation administrators in Europe and Canada said they will seek their own certification that the plane is safe to fly again. President Donald Trump is set to be in Ohio today to visit a tank plant in Lima, but the bigger question is whether he will again call out General Motors to not close a factory across the state in Lordstown. With a focus on Ohio for the 2020 campaign, Trump has been hectoring GM to keep the Lordstown facility open. What could a Biden rollout look like? One hint: veteran Democratic ad-makers have been casing former Vice President Joe Biden’s old neighborhood in what could be preparation for a campaign launch ad, according to Politico’s Anna Palmer. Putnam Partners has also created ads for Biden’s former boss, President Barack Obama. NEW: Democratic ad maker Mark Putnam was spotted in Scranton's Green Ridge neighborhood over the weekend scoping out Joe Biden's childhood home. Biden has returned to the home on several occasions over the years while campaigning.